Certainly, aging and genetics make up a big portion of the story of hearing loss. However, there are many other causes that can lead to hearing-related communication challenges. These run the gamut from the proverbial earwax plug to brain tumors. Alarmingly, the numbers of often self-inflicted noise-induced loss of hearing are rapidly rising. 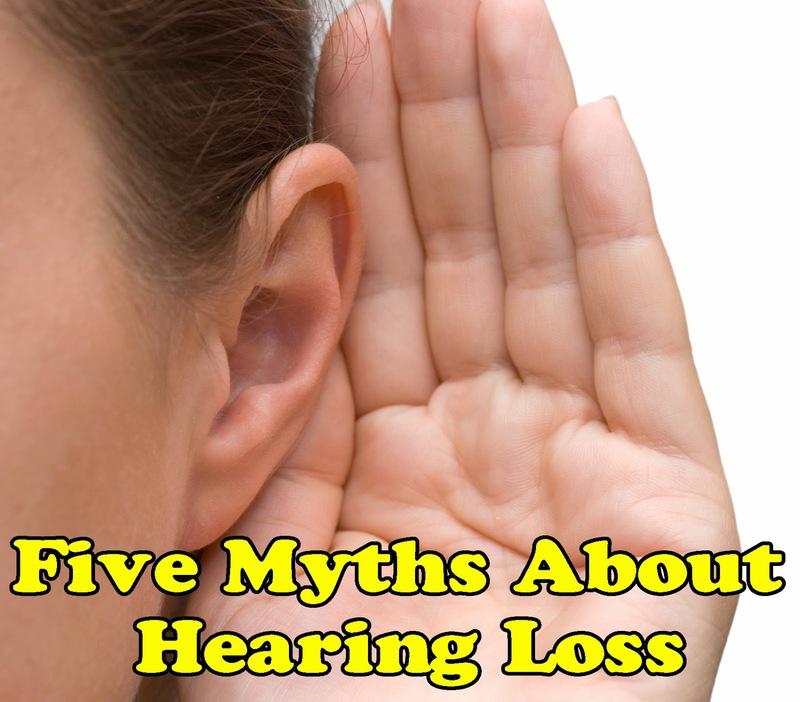 As this may be a symptom of an underlying condition, it is important to never simply ignore it, no matter what the age of the person and no matter what the family hearing history might be. Young ears are not “immune” to hearing loss. Aging baby boomers are no longer the only ones inflating the numbers of this issue. In November 2011, Johns Hopkins Medicine reported that by now 1 in 5 Americans, age 12 and over, has a hearing loss significant enough to interfere with daily communication. Age 12! – those are school-aged children. While researchers figure out the reasons behind the rise in younger people’s hearing woes, excess noise is the strongest suspect. On its website the CDC states that “an estimated 12.5% of children and adolescents aged 6-19 years have suffered permanent damage to their hearing from excessive exposure to noise.” As noise-induced hearing damage is of the same irreversible type as hearing loss related to aging, it is a wise preventive move to give the ears their daily rest and to turn down the volume in our overly loud environments – at any age. It turns out that every insult counts. Noise-induced hearing damage is dose and time related. The louder, the more frequent and the longer the exposures, the steeper the irreversible inner-ear and nerve damage will be over time. Stuffy, buzzing ears upon returning from a rock concert or an insanely loud movie are to be considered warning signs although, given a few days of rest, hearing tends to normalize, at least initially. However, researchers have found that repeated episodes of temporary noise-induced hearing distress contribute to gradual, irreversible cochlear nerve damage. As we know already, inner-ear hearing cells also suffer from excess sound abuse and, over time, will become less and less responsive and will eventually die. Although nature does have some provisions to protect the ears from loud noise, the extreme sound pressure levels to which we subject ourselves on a regular basis by far outpace our built-in defenses. Every system has its limits and testing those limits over and over is not in our best interest. 4. Got hearing loss? A hearing aid will “fix” you right up. If only it were that simple! Once hearing is lost one realizes that there is a lot more to it than not hearing well. Although hearing aids can help, they are not a “fix.” Loss of hearing affects every aspect of a person’s life and its potential, underrated side effects, such as tinnitus and noise sensitivities, are often harder to tolerate than losing the hearing itself. Not only are those a bother but they can make it difficult to tune hearing instruments. Certainly, getting a hearing aid is a huge step in the right direction for improved quality of life. Yet, patients, families and friends must manage their expectations. Hearing will never again be the way it used to be. Hearing “aids” help make the most of the hearing that is left but adjusting to them takes time and patience. Also, as the major issue with hearing trouble is understanding speech in noise, loud, sound-confused environments still test the limits of even the most sophisticated and priciest devices. Not so. Cochlear implants (CIs) have fascinated the public and the media ever since their inception. Potential candidates for these surgically installed systems are those who are deaf; those who have bilateral severe to profound hearing loss or those whose hearing is no longer helped by hearing aids. Patients must meet qualifying criteria in order to receive cochlear implants. However, CIs are also not a fix for hearing. Once the implant antenna is disconnected, the patient is back to the original hearing level. Learning how to listen and hear, or decode signals, through the prosthesis takes training, patience and time. It is often said that getting a CI is a journey of which the surgical procedure is the first step.